Are we all feeling smoochy after yesterday? I so figured. Today we have a very serious guest. Seriously stylish, y'all. 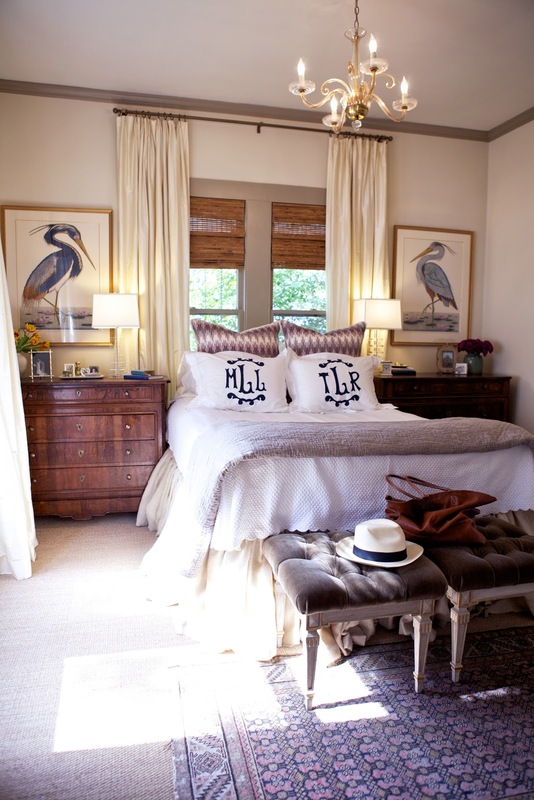 Meg Lonergan of LeSueur Interiors is sharing her favorite space which happens to be her master bedroom. I don't know about you, but I always find this space to be the most difficult to design. Why? Because I think it is one of THE most important rooms in a home. It has to be your calming sanctuary after the hot mess that we call life. This place is just that and more. 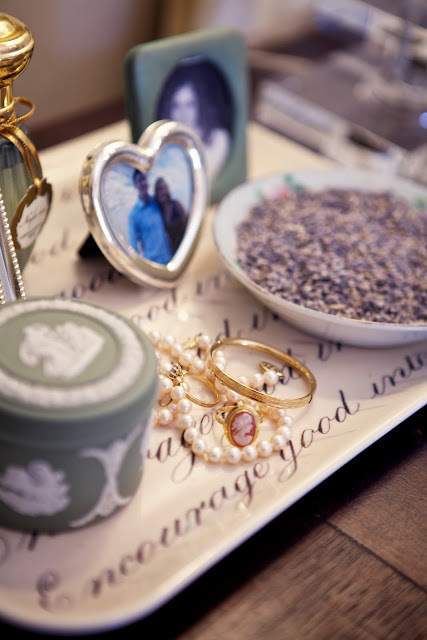 Meg is one of the most talented designers at this very moment and I am thrilled she is sharing her space with us! Hello everyone, I'm Meg Lonergan of LeSueur Interiors. Lindsay, thank you so much for inviting me to participate in your Favorite Room Feature. My favorite room in our house is definitely our master bedroom. We spend so much time in here, it makes me feel calm and relaxed after crazy work days! It was the very last room in our house that I finished, which is often the case I find with my clients too. For some reason everyone prioritizes their living/dining rooms before their masters, even though they spend the majority of their at home time in their bedrooms. It was worth the wait though, during my pregnancy I spent every weekend, totally exhausted, laying down in that bed! Then the first half of last year, we spent countless hours as a family napping, hanging out, feeding our baby Julian in our bedroom. At Round Top antique fair one year I found this almost pair of French Louis Phillipe chests, which serve as wonderful storage in our 1910's home where closets are very limited. My glass lamps were a Target score, the rectangular linen shades make them look not so inexpensive. The bamboo blinds were also a $38/each Target find, but paired with custom silk draperies they look even better! I stumbled upon the numbered and signed Louisiana Blue Heron etchings at my favorite thrift store (custom re-frame job). The chandelier is an old one from from France, purchased from Janet Wiebe Antiques in Houston. We installed wall to wall seagrass which is so durable and practical, and I love layering old Persians in my projects, the one in my bedroom is a Khotan with a pomegranate motif. Thank you so much for taking a tour of my bedroom with me, I hope you were able to get some ideas for your own home! You can find more of my home and high/low ideas, featured in on my blog and my website. So beautiful. 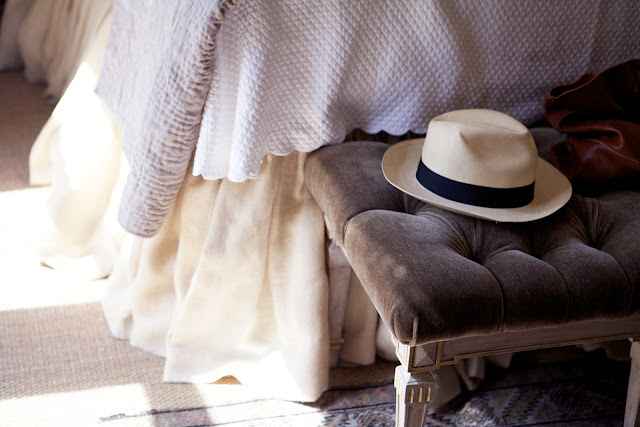 Love the layering behind the bed. Love love love the tufted bench. 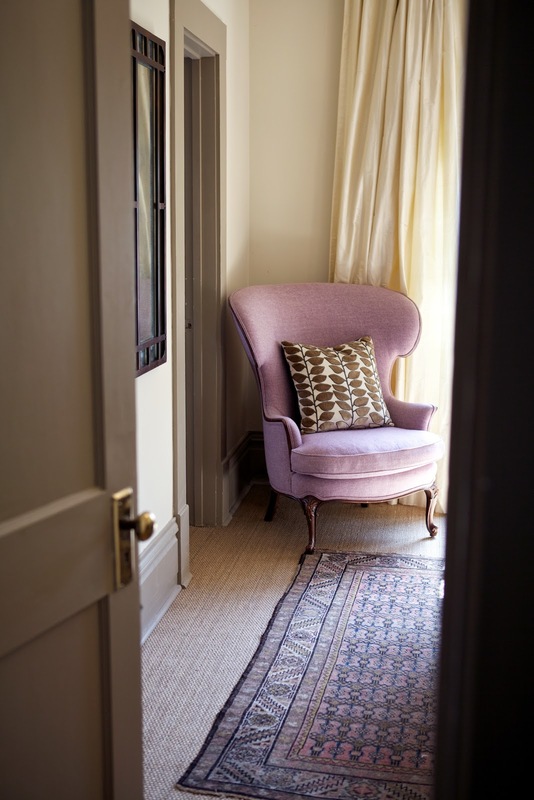 And that armchair in the entryway is heaven! yes, yes, yes. Love this room. I think I pinned it awhile back. The linens are gorgeous and I love the benches- how smart to turn tables into benches! I love those prints and those shams. This is a room I would love to hang out in. I'm loving the warmth this room exudes. Love the trim color, layered rugs, and use of texture! Glad I discovered your blog. I'll look forward to following you. Loving these designer tours! Sweet dreams to be had in that dreamy, dreamy space for sure. It's luxe without being over the top- the kind of room meant for sleeping late. I love the way the light filters in from that side window. Very warm and inviting. Lovely feature Lindsay! Love the tufted ottomans - taupe mohair - yes please! Such a lovely changeover from words to visual - love it! 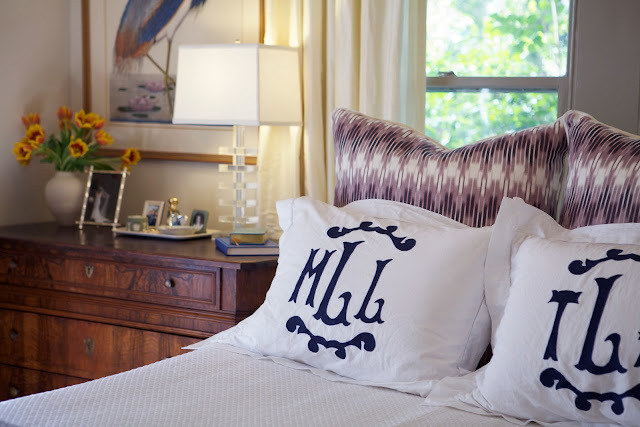 Love the monogram bedding, I just ordered some for my daughter. A beautiful room. wow this room is so gorgeous! i can't wait to finish our master, but it is also low on the list. Every time I see this bedroom I get jealous! I love everything about it. Has always been one of my faves, and a major inspiration for my own master. Love the purple chair...beautiful room! You always find the best ladies for this series. Love it! This is one of my favorite rooms of all time! Thank you so much for sharing. I'm dying for those Euro shams...among other things. her bed linens might be my favorite thing! Ah what I would give to have a pair of those shams!